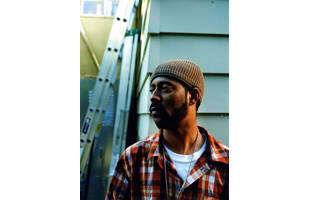 Madlib, is a Los Angeles-based DJ, multi-instrumentalist, rapper, and producer. Known under a plethora of pseudonyms, he is one of the most prolific and critically acclaimed hip hop producers of the 2000s and has collaborated with a myriad hip hop MF DOOM (as Madvillain), and the late J Dilla (as Jaylib). Listen to Freddie Gibbs' "Cocaine Parties in L.A."
Madlib ft. MED, Blu, Phonte, & Likewise - "Finer Things"
Madlib ft. MF DOOM, MED & Blu - "Knock Knock"
Madlib and Future Islands' Samuel T. Herring Announce New Group With "Trouble Knows Me"
Freddie Gibbs & Madlib ft. Action Bronson & Joey Bada$$ - "Knicks (Remix)"